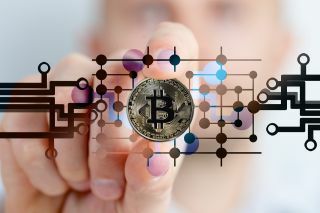 There is a number of obstacles that are preventing retail investors from entering into the cryptocurrency space in serious numbers. Cryptocurrencies have increasingly managed to capture mainstream imagination, whether it be high street banks trialling Blockchain technology to execute and settle trades, or fortunes being made and lost by computer geeks who managed to get in early before values skyrocketed, more and more retail investors are beginning to look in to how they can invest in the 1,000 or so cryptocurrencies that have been created in the past decade. However what started out as a libertarian idea by an anonymous computer hacker almost a decade ago has now grown to a 200bn dollar asset class. With an average of 80 ICOs coming to the market every week, and $3.6bn raised so far this year through ICOs, serious questions begin to be asked regarding which ICOs are credible and have sustainable long term prospects. Ease of Use, many cryptocurrencies can only be bought with Bitcoins, however Bitcoins can only be bought by using one of the major exchanges such as Poloniex or Bittrex. Mining coins is time consuming and energy intensive and at over US$10,000, bitcoin is very expensive for the average retail investor looking to make investments. Comprehension of the technology being used, as a rule, if you don’t understand the technology being used, how it can be applied and what problems it solves, it’s probably best you don’t invest. Over 200 coins have been launched since the start of 2017 raising approximately $3.3bn, the market value of cryptocoins has soared from under $30bn six months ago to $160bn today, even the most evangelical cryptocurrency enthusiast would have to admit some of those companies are due to fall by the wayside. Miguel anticipates that approximately 10 – 20 per cent of thoses companies will succeed in the long term and Coinvision as an app provides investors with the insight in to those companies with strong fundamentals. Liquidity, unlike many listed companies where shares can be bought and sold quickly without impacting the price, no cryptocurrency (even the most mainstream such as Bitcoin) can be sold quickly without affecting their prices. Relative to fiat currencies or equities, cryptocurrencies aren’t as liquid as many investors would like them to be. The implications of this for investors are considerable, if there is a massive run on the token or any other token under it, its price will plummet and that 20 per cent reserve will be wiped out in minutes. The point is that investors in the cryptocurrency market, any other comparable token or any new token, would be wiped out faster under similar circumstances. Volatility, given the scale of price rises and market value of the cryptocurrency sector, Ethereum alone has increased 2,500 per cent since the beginning of 2017 and made a number of millionaires along the way. Less well documented however is the volatility and equally dramatic price drops many altcoins have suffered since the beginning of 2017. Investors should always remember the laws of gravity apply just as much to cryptocurrencies as they do to physics. Security, one of the many great concerns retail investors have relates to security, particularly the ability of hackers to exploit weak coding, the DAO hack saw investors lose over US$150m in a matter of minutes. Worse still slack channels and chatrooms can often have fraudsters acting as informants suggesting you should invest in certain companies that prove to be fake. When investing it’s always advisable that you use a respected exchange and do the necessary levels of due diligence. The architecture supporting the Blockchain that stores your digital coins or assets will impact the overall security for those assets. For instance some Blockchains operate using smart transactions and others use smart contracts, the former don’t provide the same degree of control over the finer details, but they are quicker and easier to use than the latter, and can still be combined to form some quite impressive final products. Blockchains created by smart contract developers face the added risk that the code written has errors then given the immutable nature, these vulnerabilities to potential hackers are permanent and unknown. Some blockchains place considerable power to the computer programmers, however if they make a mistake with the coding, investors will face the costs, literally and figuratively. Transparency, investors should be aware of companies raising money that don’t communicate regularly or effectively with their clients. How the money invested will be spent and allocated should be clear to all participating, questions should also be asked whether there is a hard cap on the sum to be raised. If there isn’t a set hard cap then investors should ask why the founders need so much and how well laid out is their business plan? As a service provider, Coinvision aims to provide the latest and most up-to-date information to potential retail investors interested in the altcoin market. Our team scan relevant chatrooms and information platforms to provide insights into credible and realistic projects that stand out in an increasingly crowded environment. Having said that we would urge caution in what looks like an increasingly heated environment, opportunities are still out there to make considerable gains, however investors need to do their research and ask tough questions about the project, its viability and whether the company has credible board members with a long term vision, only then should investors risk entering this rapidly growing and dynamic area of finance. 2017 has been an incredible year for Blockchain technology adoption, some of the companies raising funds through ICOs will been the next tech titans disrupting traditional industries, however investors should only enter when they have researched the aforementioned factors, a process Coinvision aims to assist them with.